It’s almost summer and if anything, it just means that many events, festivals and exhibitions are upon us. Small participants will surely be looking to book some ready made stands, but what should big brands, event partners, and sponsors use? Lady Grey and Three Sixty have got your back in this regard! 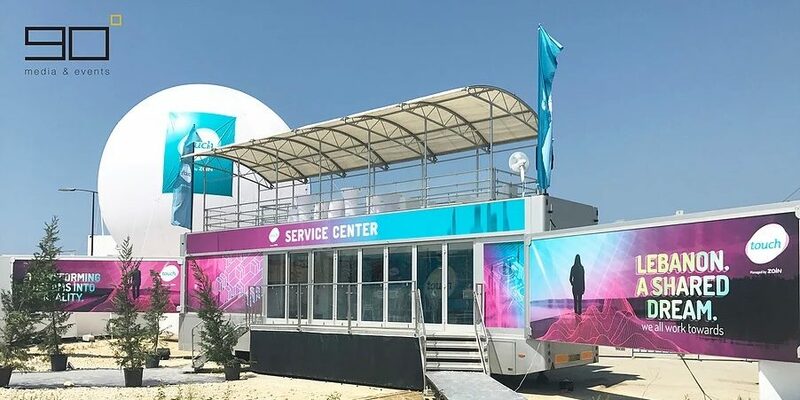 The two highly branded trailers are the perfect solution giving you high exposure and generating the kind of audience engagement that will not be easily forgotten. Lady Grey and Three Sixty can be used as media/VIP rooms, mobile active branches, and for any type of marketing activities such as product launching and sampling. Using a branded trailer is a memorable way to spread the word or your business message. Such a solution will surely generate positive opinions about your brand, as people will feel how established and successful your brand is. A branded trailer will most definitely grab attention in comparison with regular or wooden made booths. People will not pay much attention to plain ready made event stands, but a well-designed vehicle wrap will not go unnoticed. Our branded and highly customizable trailers are available for rental for your marketing activations and events starting at $3000. Contact us and book yours now!